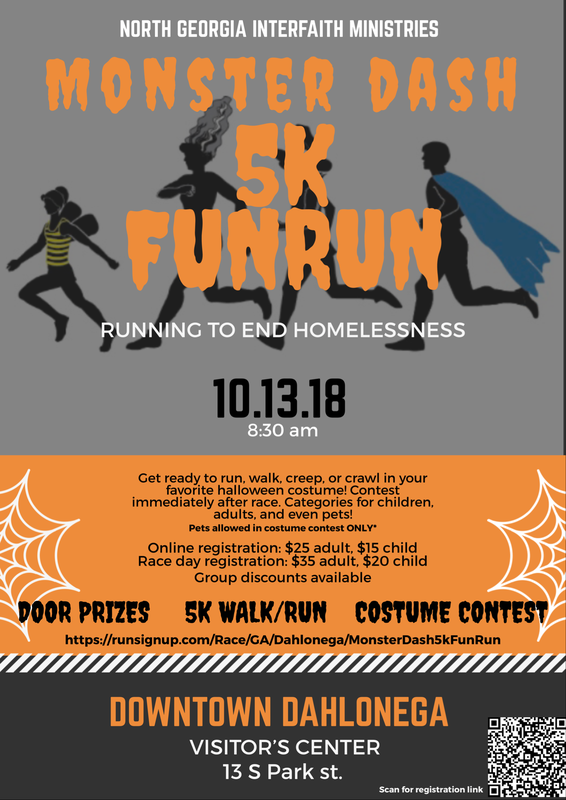 This Halloween themed race will take place in historic downtown Dahlonega, Georgia. All participants can walk, run, creep or crawl in their favorite Halloween costume culminating with a costume contest after the race. The contest will have multiple categories and winners in each division: adults, children, and even pets! (PETS CAN NOT PARTICIPATE IN THE RACE) Monster Dash is a fun family-themed event, that appeals to everyone…..not just the avid runner. All proceeds go to North Georgia Interfaith Ministries.